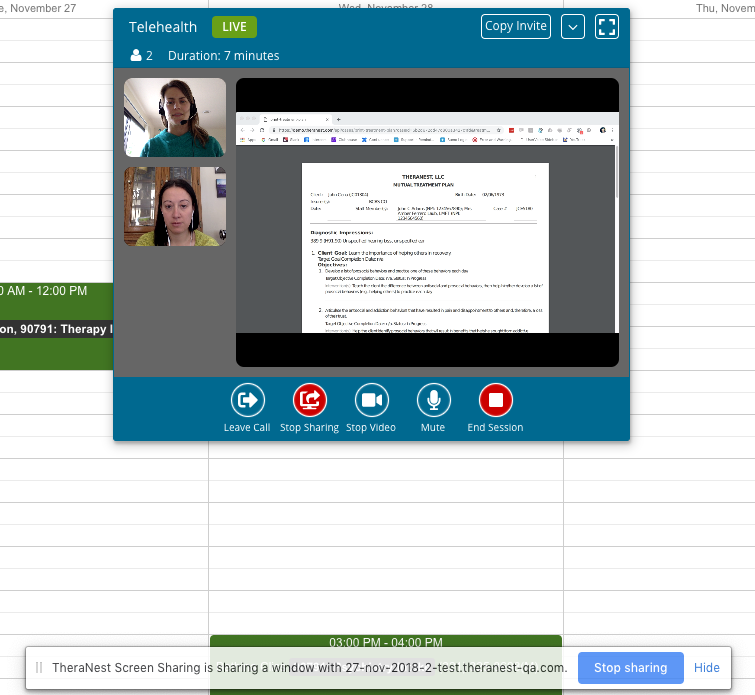 Screen sharing with clients in telethealth sessions. You can share your screen with clients (and vice versa) during telehealth sessions via a web browser. 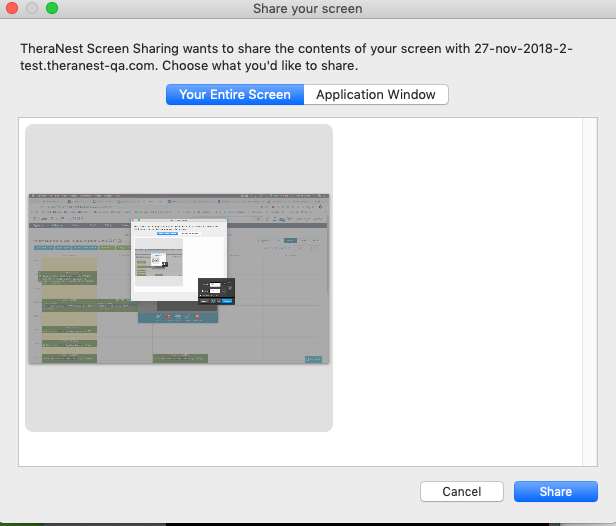 All browsers and devices supporting telehealth allow you to view a shared screen via the Apple operating system, but not share your screen at this time. 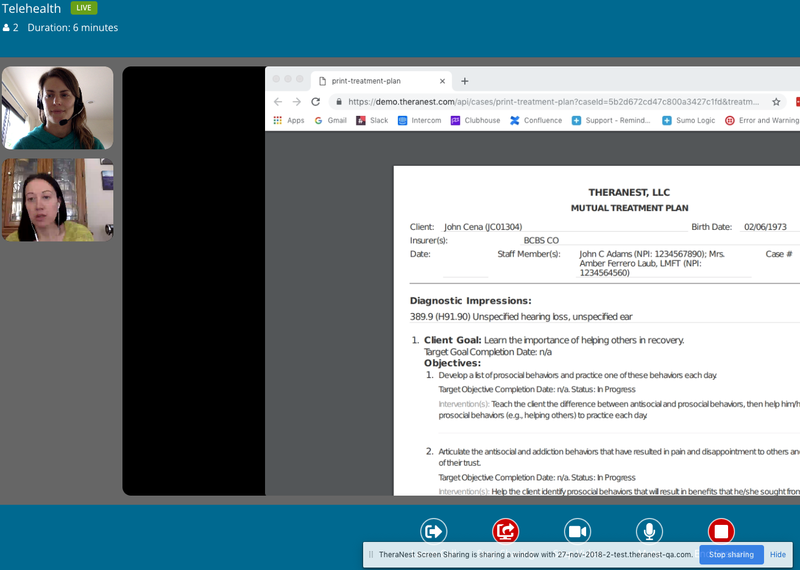 1) Start the video and unmute your microphone after beginning a telehealth session, then click the Start Sharing button on the bottom of the session window. 1a) The first time you use screen sharing via Chrome, you'll see a notification at the top right of TheraNest asking you to install the extension. Click the text: the screen sharing extension in this message to get to the extension page. 1c) Confirm that the extension can be added to your Chrome browser by clicking the Add Extension button; you'll see a confirmation message that the extension has been added. 1d) Click the Start Sharing button a second time back on the telehealth window. Once you've added the extension you'll only need to click this button once moving forward. 1e) Click either the Your Entire Screen or Application Window buttons to share your whole screen, or just a specific open application or document. 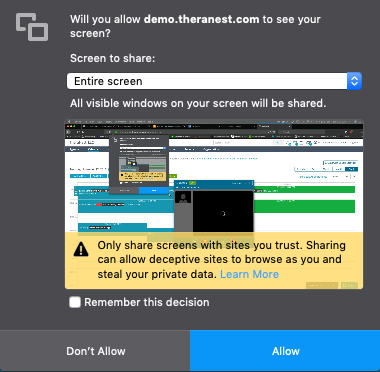 1a) The first time you use screen sharing via Firefox, the browser will ask for permission to share your screen. Click the Allow button. You'll see a window containing either your desktop or the document you chose to share; the other person will see you moving around this screen. You can maximize your telehealth window to see a larger view using the button at the top right of the window. 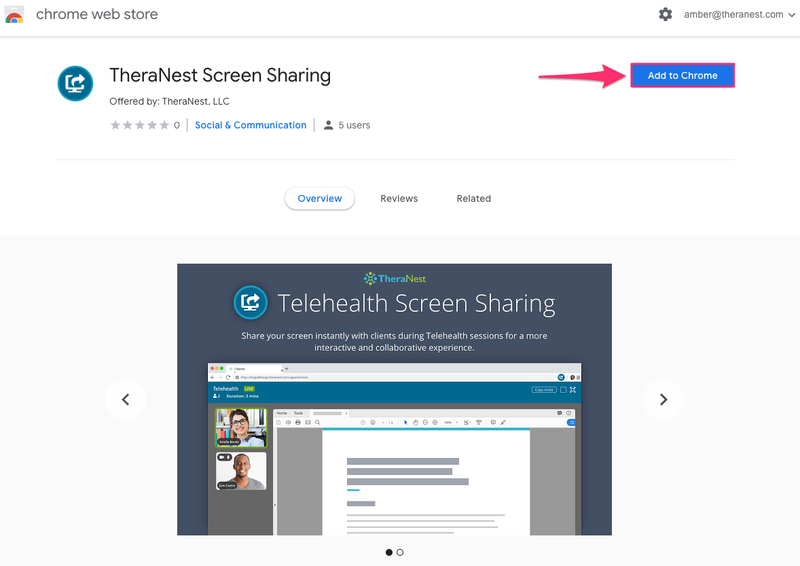 Use the Stop Sharing button in the telehealth window to stop sharing your screen. While you're sharing, this button is red. When not sharing the Start Sharing button appears in blue, and the other person on the call can now share their screen if they meet the system requirements.